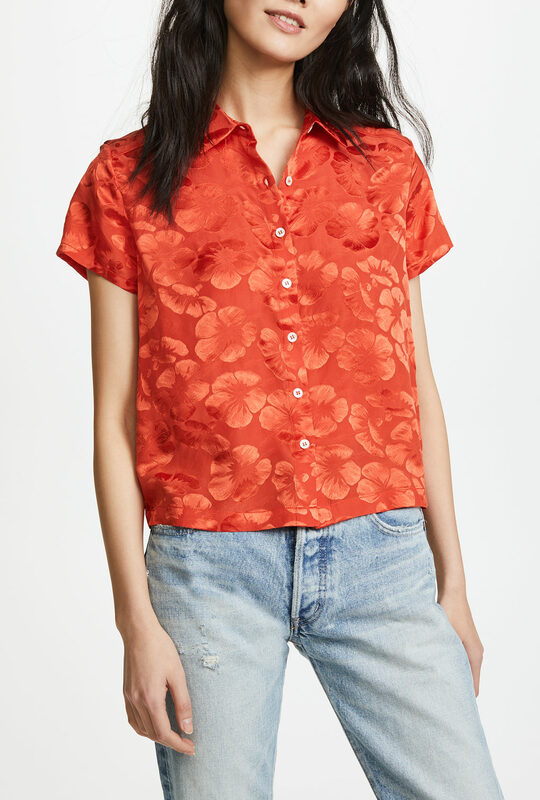 There are so many good button-downs out there right now that this post grew unwieldy and had to become a two-parter. This A.P.C. top looks like a Liberty print, but I can’t be certain. It is very good in any case, though. 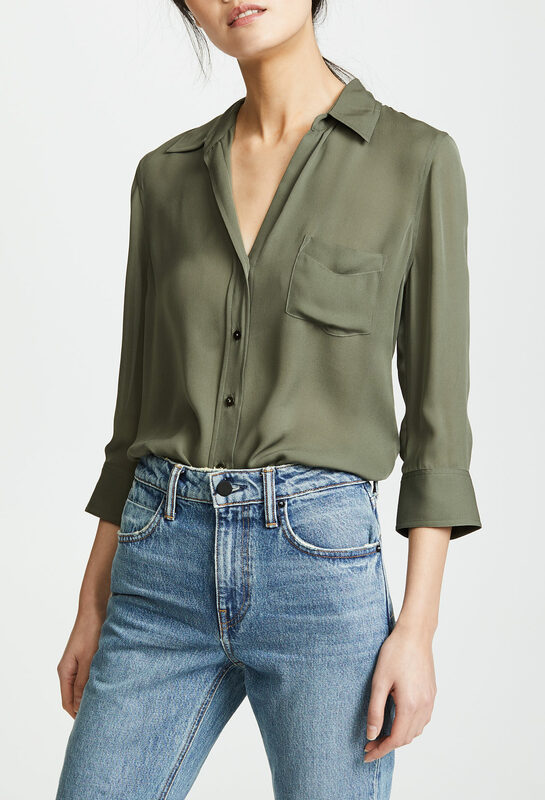 I like the sleeve length on this L’agence shirt, and the sort of dusky army green. There are few things I like more than red, white, and blue stripes. 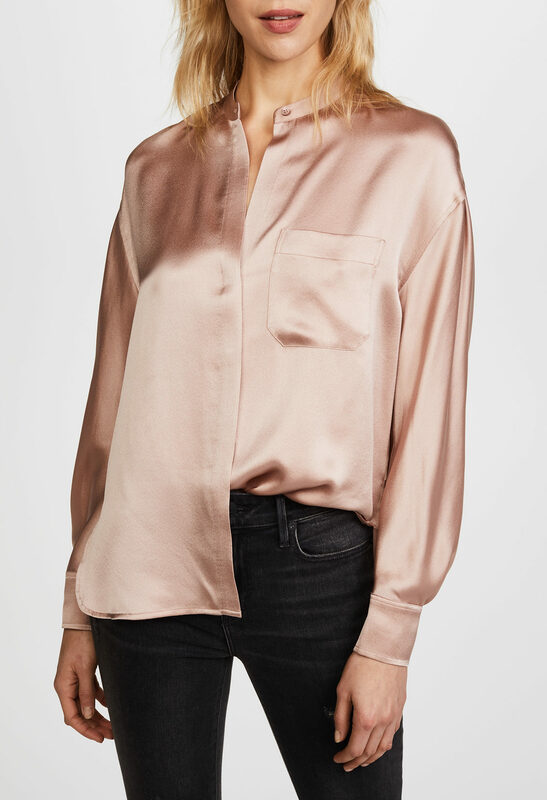 This silk rose gold top has the just-right amount of sheen. 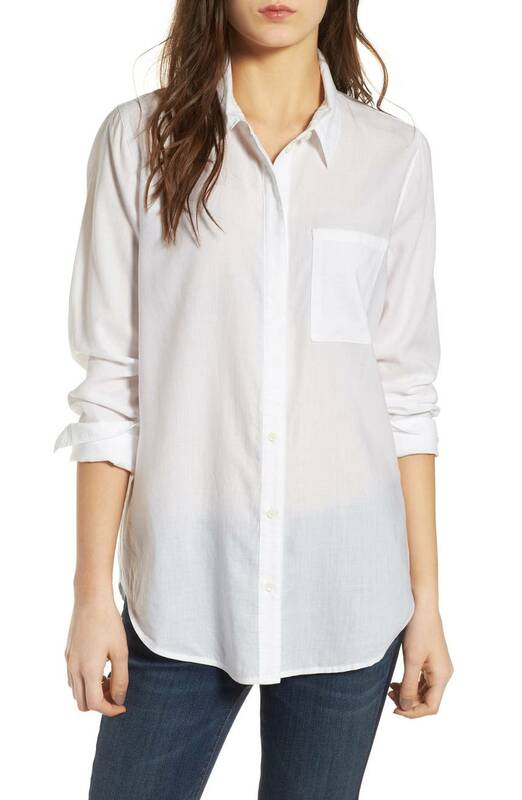 Just a classic white button-down, nicely priced. Here’s one in extended sizes. 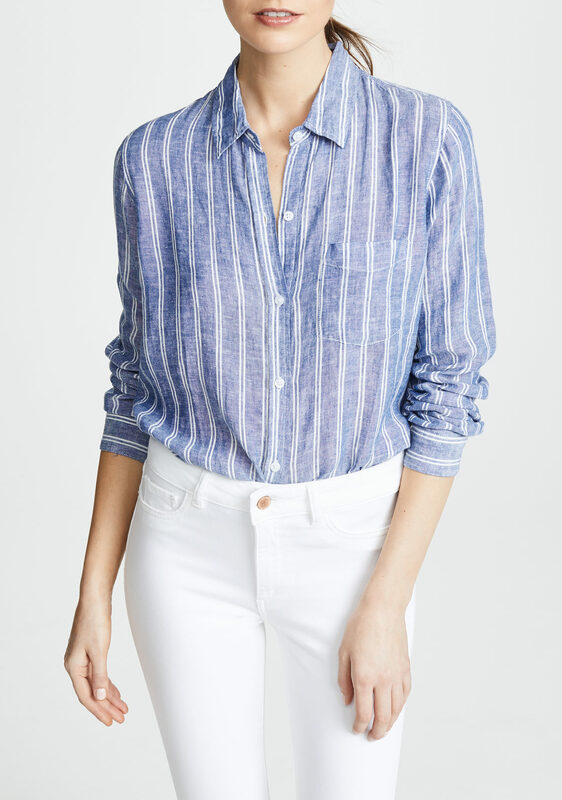 I don’t typically like tie-waist shirts, but this is pretty snappy. The off-kilter heart print here is quite winning. 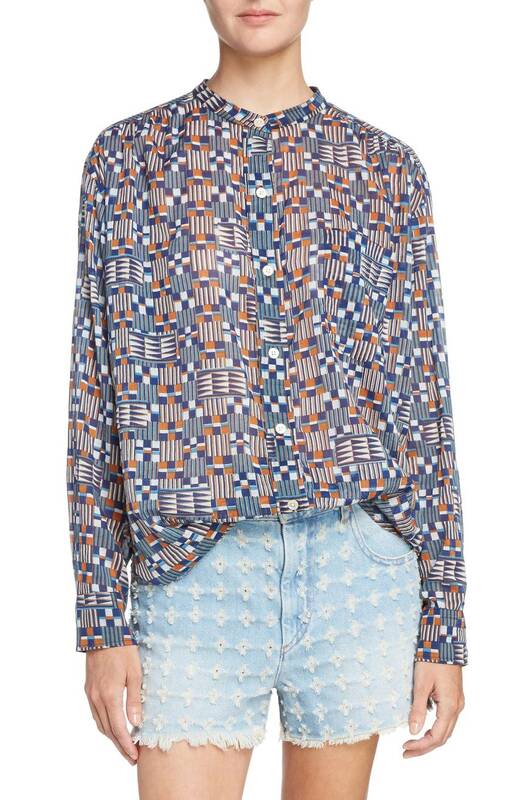 I have a sneaking suspicion I’ve already posted this Etoile Isabel Marant top, but I’m doing it again because 1. I honestly can’t remember and 2. It’s so good. 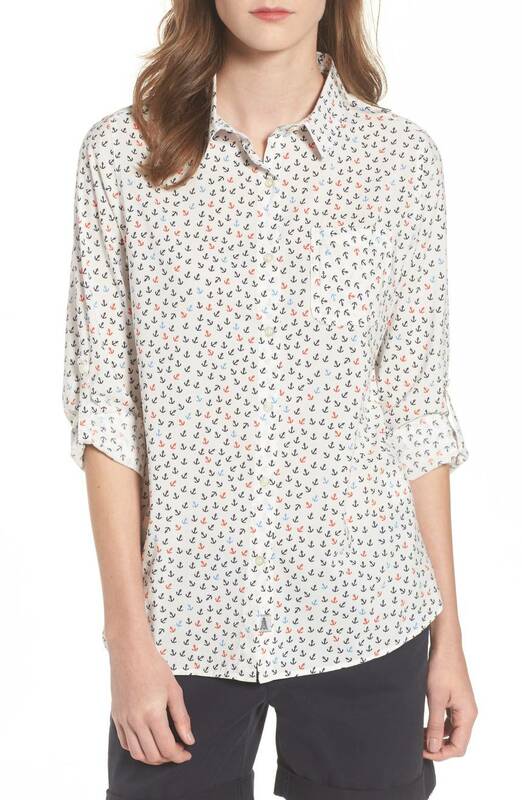 This Barbour shirt has tiny anchors all over it, which is pretty cute. I love Xirena shirts: they’re so lightweight and well-cut. This shirt is just loud enough to be fun, but not too loud. 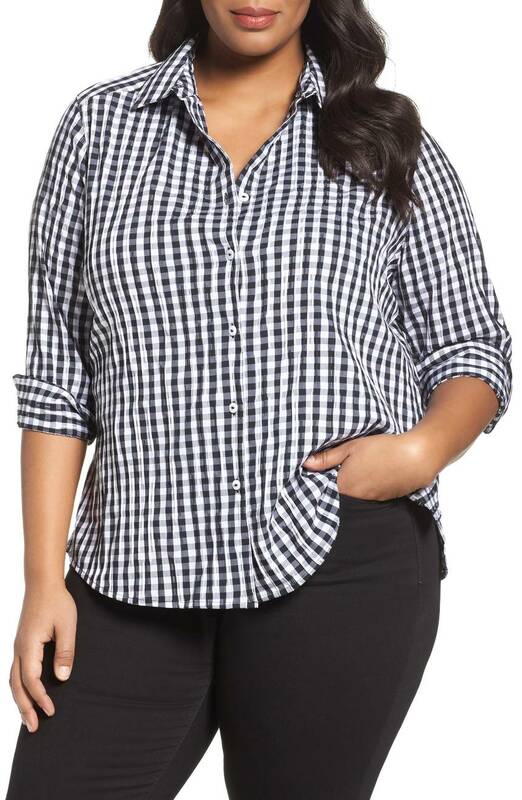 A gingham shirt is as good for work as it is weekends. I like the faded-out blue here. 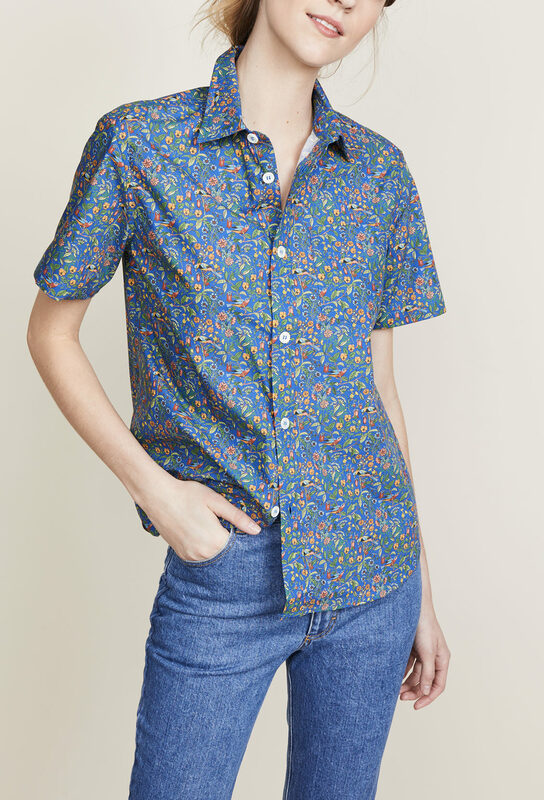 That last shirt by Rails is exactly what I’ve been looking for for spring. Thanks! I’ve never bought this brand, though. Has anyone here? Is Rails really all that? 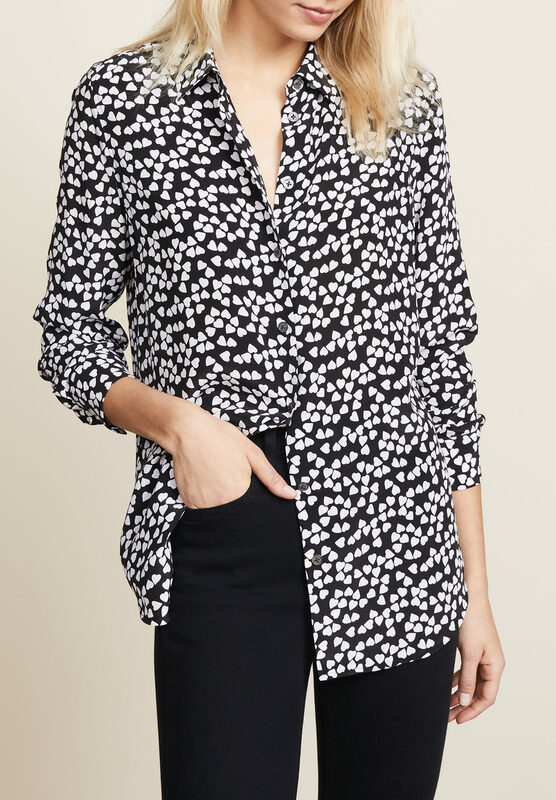 That last shirt by Rails is exactly what I've been looking for for spring. Thanks! I've never bought this brand, though. Has anyone here? Is Rails really all that? I have a couple of Rails shirts. They have a nice drape and the fabric is good quality, but in my opinion, they’re overpriced. They also run small. (You can get them at Nordstrom Rack). I have a couple of Rails shirts. They have a nice drape and the fabric is good quality, but in my opinion, they're overpriced. They also run small. (You can get them at Nordstrom Rack). Be very careful washing your Rails shirts. They really should be handwashed- as they are pretty delicate. But, that is how you get that soft drape and feel! Oh god, Kim... The first one I love and then I see it has my name but I have to pay my pretty big tax bill today and... oh god, why? Great collection. Before I did my taxes, I’d be ordering the Xirena. But now….hoping there’s a Mango one in the next batch. Great collection. Before I did my taxes, I'd be ordering the Xirena. But now....hoping there's a Mango one in the next batch. A very nice collection, really want the first one! Eagerly awaiting second batch tomorrow. 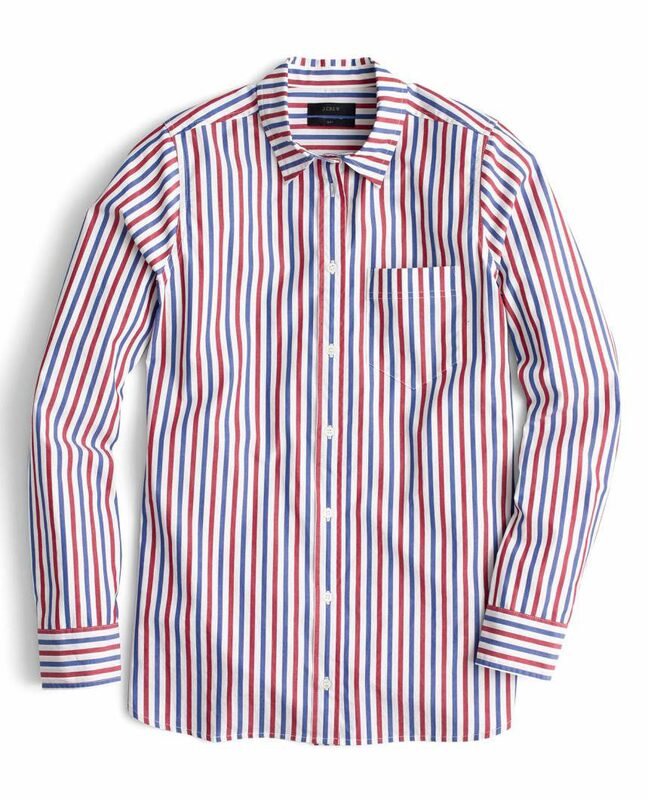 The red, white, and blue striped shirt is on sale at JCrew for $55. Kim, do Xirena shirts run oversized? I love button downs for summer! Just roll up the sleeves and go. 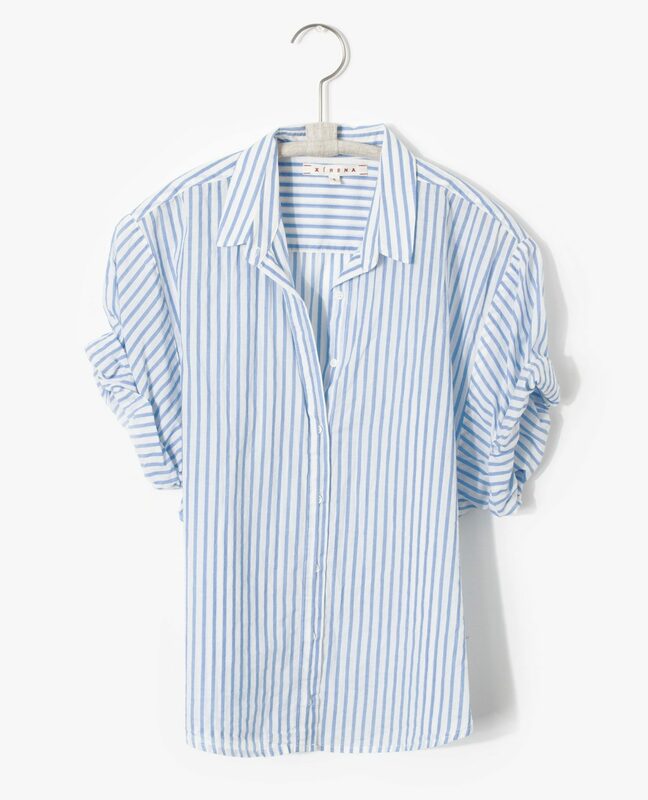 I have a J Crew one that’s very similar to the last shirt. And I love the red, white and blue stripe...American French girl. ;-) Kim, do Xirena shirts run oversized? yes, that’s exactly what i want to know too – if Xirena runs as oversized as it looks. yes, that's exactly what i want to know too - if Xirena runs as oversized as it looks. 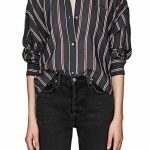 Can someone please explain how to wear button-down shirts successfully? I love the idea, but cannot for the life of me figure out how to make them play nicely with my curvy bust/waist/hips ratio, with a cardigan, or with the waistband of my skirt/pants (I *hate* tucking). Help! The one tip I can give you is that if you want to wear a shirt out, you’ll do best with a skirt or pants that sits on your waist. Then the shirt has a better chance of lying smooth. There’s always a waistband bulge with low-waisted pants. Hope that helps. The one tip I can give you is that if you want to wear a shirt out, you'll do best with a skirt or pants that sits on your waist. Then the shirt has a better chance of lying smooth. 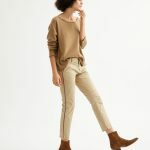 There's always a waistband bulge with low-waisted pants. Hope that helps.